For many people, the start of a new year means making resolutions or setting new goals. For Joel Alcantara and Anny Ramirez, 2014 started with much more… the building of their new home. Joel, who currently works at a bank and is studying to be an agronomist, and Anny, both a stay-at-home mom and student, were selected to receive the 51st house of Cambiando Vidas. 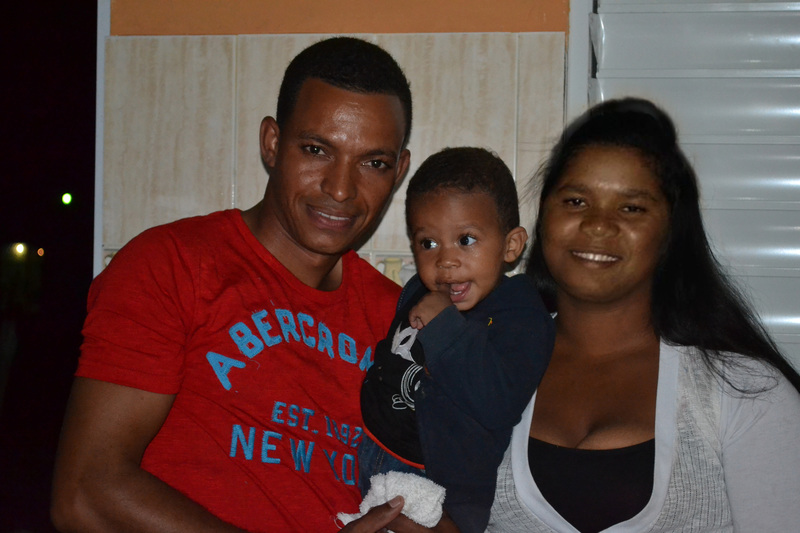 Joel and Anny have been married for 3 years and have a one-year-old child, Joel Emil. The entire Lavapie community took part in the build, which took place from January 5 – 9. Each morning Joel and Anny walked around the perimeter of their new home, their faces full of pride for the house they were about to call home. It was incredible to be a part of the build. In just 4 days, 50 people built a strong and sturdy home that will last for many years. See pictures of Joel and Anny’s house and the build process on the Cambiando Vidas Facebook page here.